Buena Vista Drug offers a variety of nutritional supplements and vitamins to help compliment your medications and help you be healthy. The supplements we carry are made from the highest quality ingredients and follow good manufacturing processes. Some medications can cause nutrient depletion which can increase side effects of your medications. 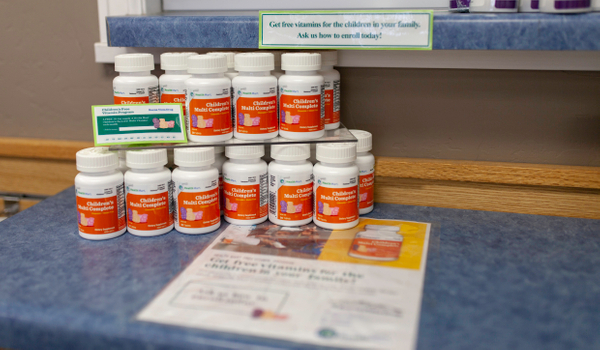 At Buena Vista Drug we offer a medication review and can recommend supplements to replace those nutrients. Call us today at 719-395-2481 to schedule your appointment. Can't find the supplements you are looking for in our store? We have partnered with FullscriptTM to offer an online dispensary that enables you to have greater access and availability to purchase and refill your pharmacist's trusted products. If this is your first time ordering, use the *Place Order button *to sign up for 24/7 access to a wide array of professional-grade vitamins, nutritional supplements and wellness products.